Cover art by Joe Shuster. 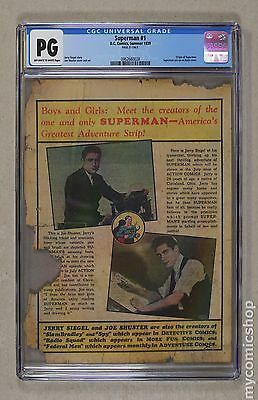 Features a two page origin (new material) of Superman by Jerry Siegel and Joe Shuster, plus four pages previously omitted from the Action Comics series. Untitled Superman story; Clark Kent applies for a job at the Daily Star, but is turned down until Superman stops a lynching and Clark phones in the story. Untitled Superman story; Superman breaks into the Governor's mansion to stop the execution of Evelyn Curry, and Lois is kidnapped by gangsters, no thanks to that spineless milksop, Clark Kent, but is rescued by Superman. Scientific Explanation of Superman's Amazing Strength! 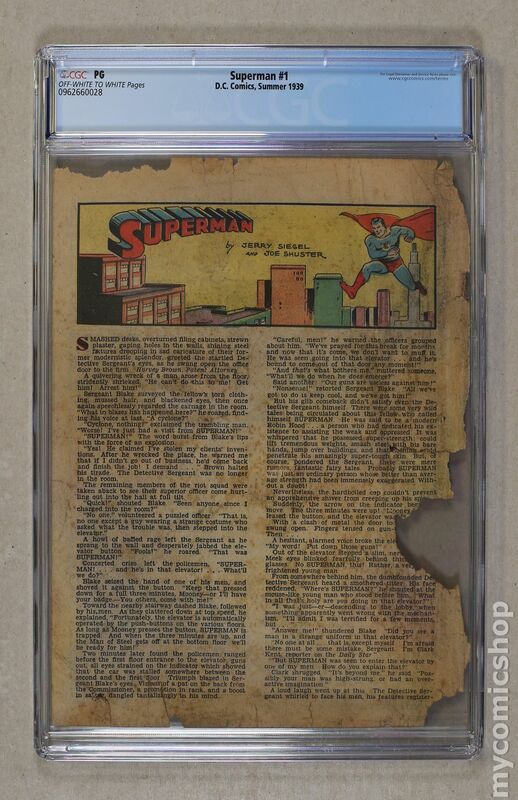 Superman text story featuring Biff Dugan. Action Comics #14 ad, art by Fred Guardineer. 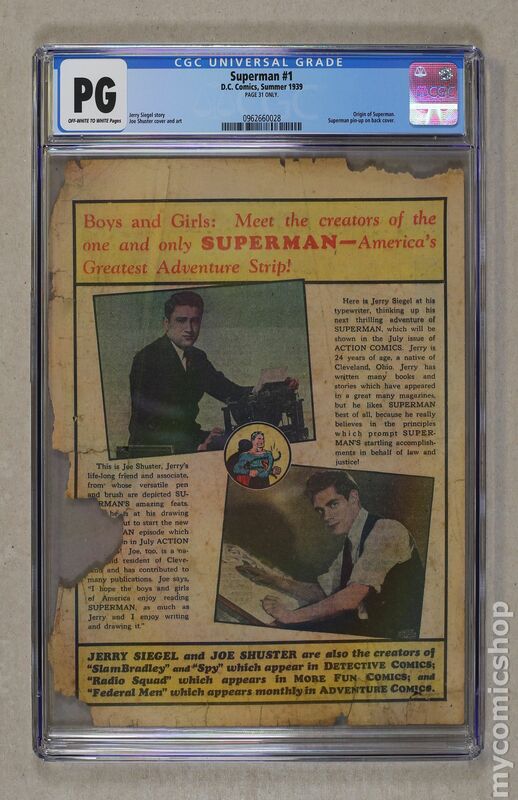 Article with photos and biographies of Jerry Siegel and Joe Shuster. Back cover features the first pin-up of Superman with is also the 1st ever pin-up page to appear in a comic book. 68 pgs. $0.10.